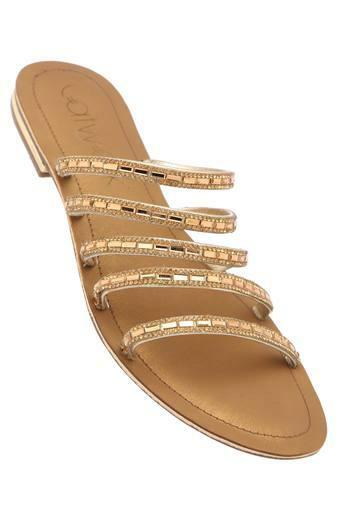 Make a style statement by wearing this pair of flat sandals from Catwalk. It has a soft foot bed, which will provide a soft touch against your feet. 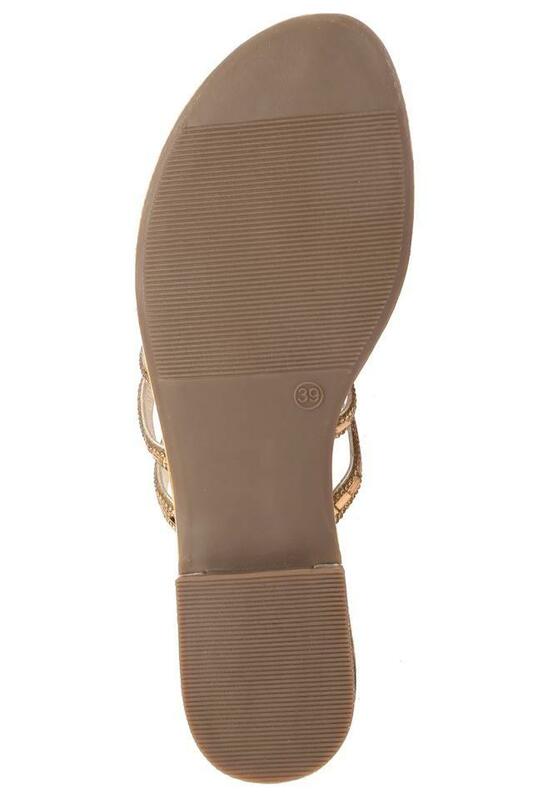 Moreover, it has a thermoplastic rubber sole that will provide you with slip resistance. The slip on style further makes it convenient to wear. 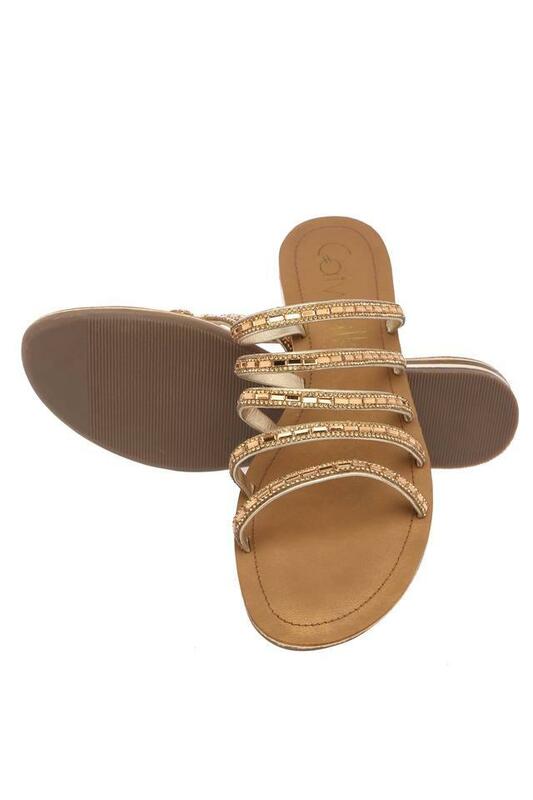 Complement your casual outfit with this pair of flat sandals and earn appreciations for your choice. Made of fine quality synthetic material, it is quite easy to maintain.